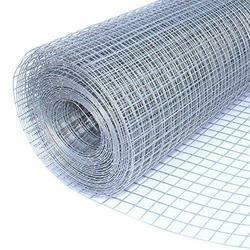 Leading Exporter of wire netting, steel wire mesh and steel wire netting from Thane. 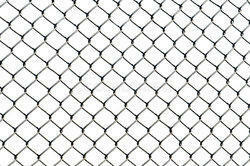 Relying on our expertise, we are engaged in dealing in wide range of Wire Netting in the industry. To meet the specific requirements of our clients, our products are available with unique specifications. Quality of our offered range of products will meet the international standards. 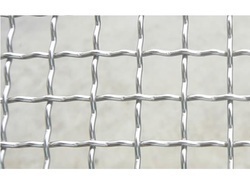 Our entire products range including Wire Netting is superior in designing and convenient to use. We deliver our assignments using customized packaging standards. Steel Wire Mesh are readily available in the form of rolls, cut piece, round discs and can also be customized as per requirement. Plain weave, Twilled weave, Plain Dutch Weave & Twilled Dutch Weave are the different types of weave. Steel Wire Netting has been applauded across the globe for being durable and exceptional in tensile strength. It is resistant to corrosion, which makes it ideal for using in gardens and fields. Looking for Wire Netting ?